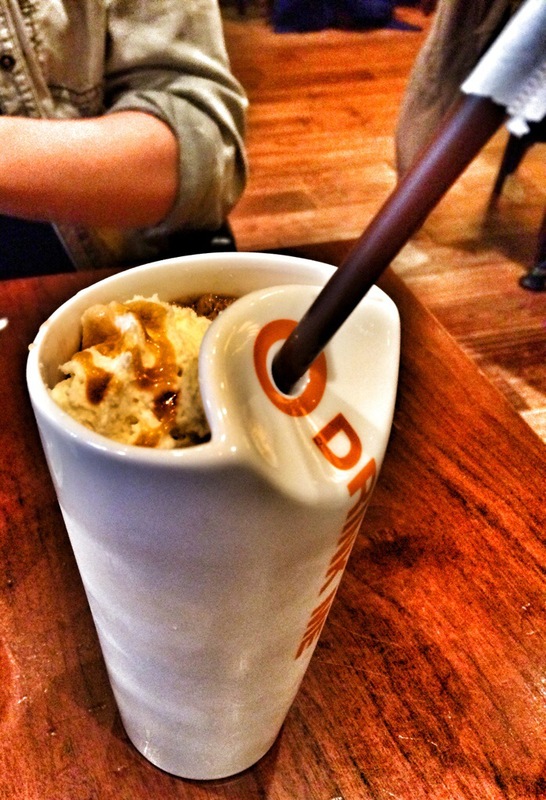 If you are a lover of all things sweet, Max Brenner has a menu full of delectable options for you. Max Brenner has multiple locations, in the USA, there’s Boston, (the location I visited) NYC, Paramus, Philly and Washington DC. 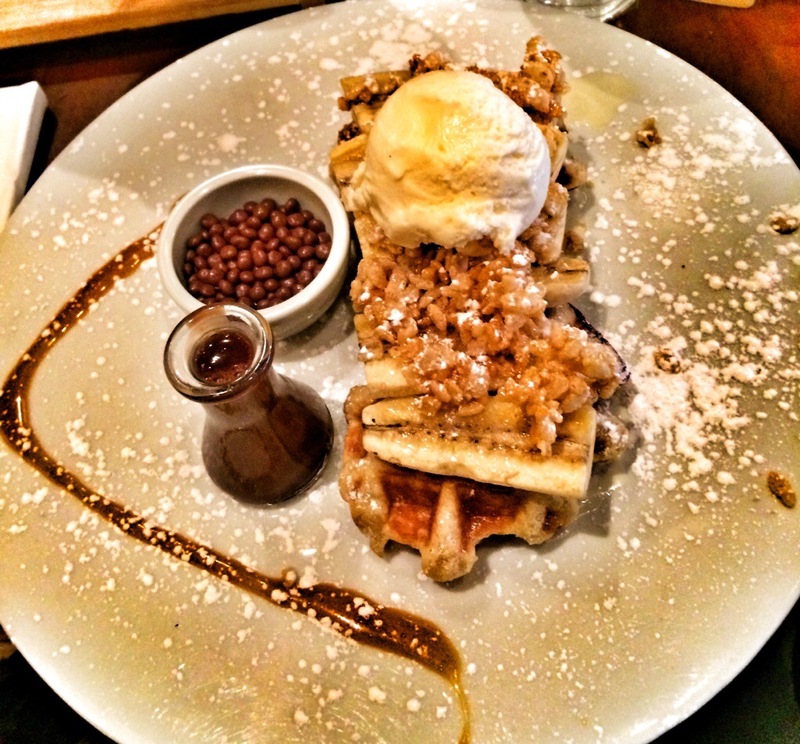 On a recent trip to Boston, my friend and I decided to head over to Max Brenner for a sweet chocolate filled brunch. When you enter the restaurant, you are overpowered by the smell of chocolate (which isn’t a bad thing by any means.) They also have many different chocolate products are also for sale to take home so you can get a chocolate fix later. 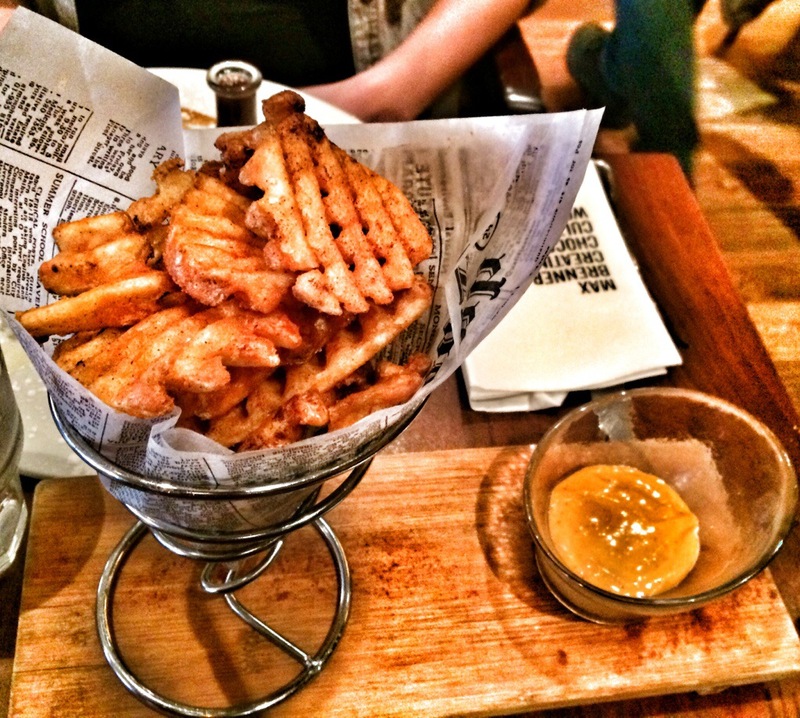 After looking over the menu, my friend and I decided to share the Waffle Fries Dusted With Chili and Coca Powder. The chili and coca powder combined perfectly to make an addicting flavor combination. We really couldn’t get enough of them and wished the portion was larger, it was that good. On this particular morning, my friend and I were both craving waffles but we went in vastly different directions with our orders. My friend ordered Banana Split Waffles. They were liege waffles topped with caramelized bananas, chopped nuts, and a scoop of ice cream. The dish also came with a side of melted chocolate do drizzle over the waffles (as if the dish wasn’t already sweet enough.) If you have a sweet tooth, you’re going to love this, the textures were perfect and it was so sweet and flavorful. 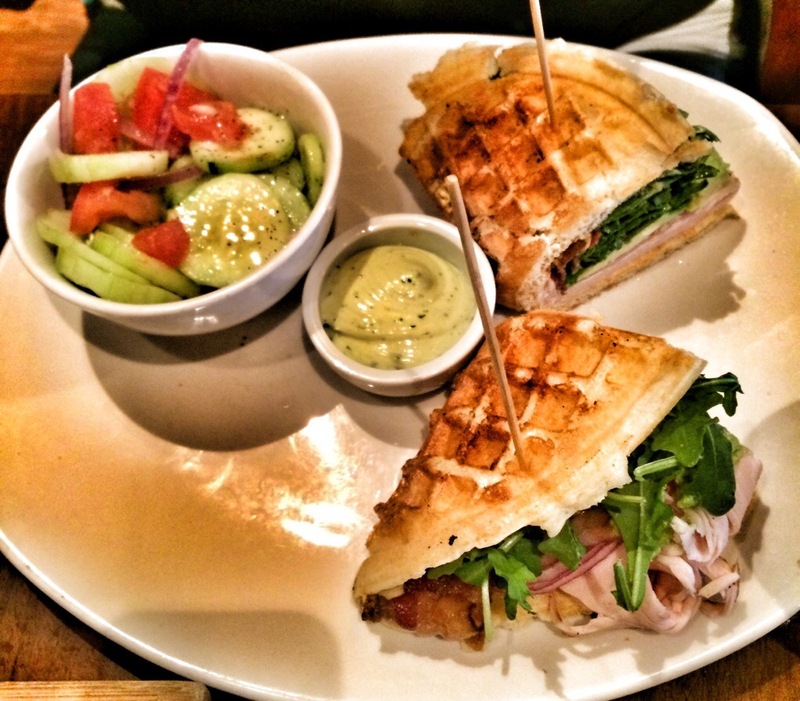 However, if you’re looking for a dish that’s less sweet, and more savory, there’s the Turkey Club Waffle Sandwich which I ordered. It was a rosemary infused waffle with thinly-sliced turkey, bacon, avocado, red onion, tomatoes, and dijon mustard. It was a delicious sandwich and waffles as a bread substitute was amazing and I wish this was available at more restaurants because waffles are one of my favorite things ever. We finished the meal and decided to split a milkshake, we saw a few tables around us order them and they looked amazing. We decided on the Salted Caramel Milkshake. It’s vanilla ice cream, milk chocolate ganache, caramel, sea salt, milk and whipped cream. It was rich, and full of caramel and flavor and delicious. I’d definitely recommend ordering one of their shakes to finish off your meal. Next time you’re in Boston and craving a something sweet and chocolately, or some other great American Food or brunch, consider Max Brenner. 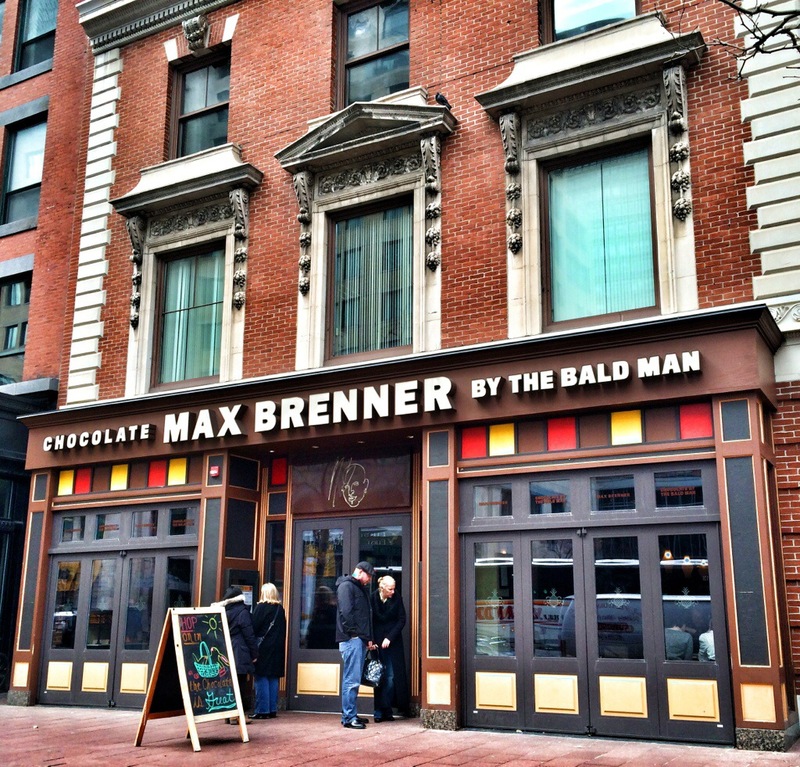 Max Brenner has a few locations, the one we visited is 745 Boylston Street, Boston, MA. Know of any other American Restaurants or brunch spots in Boston or in the surrounding areas that I need to try? Let me know in the comments below!